Since app service is a multi-tenant service, it uses the host header in the request to route to the correct endpoint. App services have a default domain name of *.azurewebsites.net (say contoso.azurewebsites.net) which is different from the application gateway's domain name (say contoso.com). Since the original request from the client has application gateway's domain name contoso.com as the host name, the application gateway changes the hostname to contoso.azurewebsites.net, so that the app service in the backend can route it to the correct endpoint. But when the app service sends a redirection response, it uses the same hostname in the location header of its response as the one in the request it receives from the application gateway. 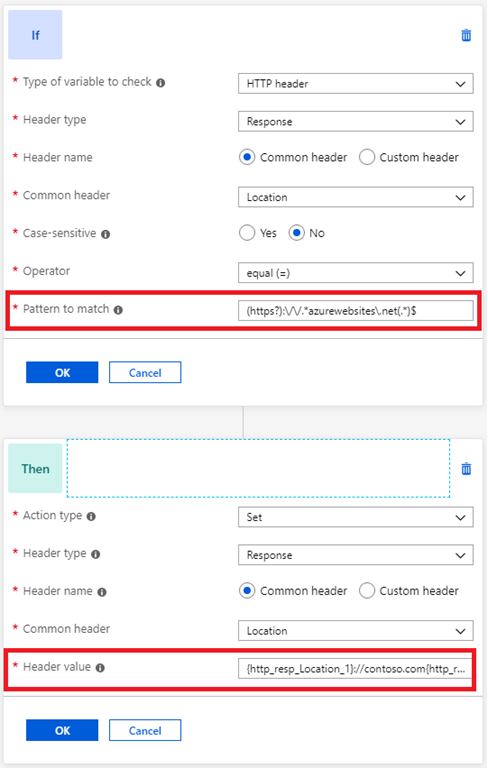 Therefore, when the app service performs a redirection to its relative path (redirect from /path1 to /path2), the client will make the request directly to contoso.azurewebsites.net/path2, instead of going through the application gateway (contoso.com/path2). This will bypass the application gateway which is not desirable. This issue can be resolved by setting the hostname in the location header to the application gateway's domain name. 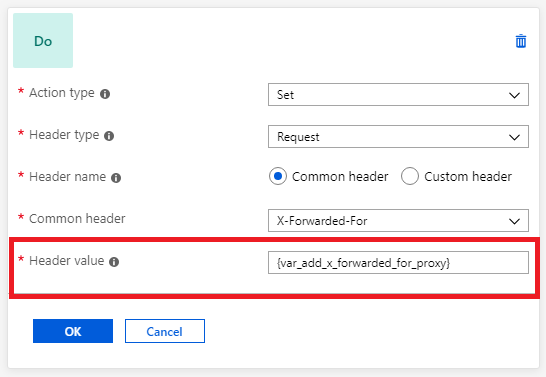 To do this, you can create a rewrite rule with a condition that evaluates if the location header in the response contains azurewebsites.net and performs an action to rewrite the location header to have application gateway's hostname.